This is an interesting and enjoyable read. 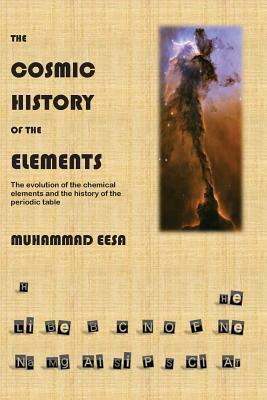 The book explains the origin of the chemical elements in an easy language that anyone can understand. It follows two stories: the birth of the universe and the life cycle of the stars. It is amazing to know how the atoms that make up our bodies were formed billions of years ago in the depths of space! Indeed, the story of the universe is the greatest of stories. Muhammad Eesa - Muhammad Eesa is a Doctor of Philosophy in Chemical Engineering and has a Master of Science in Biochemical Engineering from the University of Birmingham (UK). He is currently a Research Associate at the School of Technology, University of Wolverhampton. His research interests are transition metal chemistry and the chemical machining of metals.